How To Get A Contract Signed Multiple Times? Do you want to get the same contract electronically signed multiple times by different signers? In that case it’s a hassle to add fields to the contract every time. Therefore, it’s possible to create a contract (template) in which the fields are automatically added. It takes a few minutes to create and test the template, but when done it makes working with SignRequest easier and faster. At first, it might scare you a bit, but you’ll see it’s actually pretty simple :). If you need help, just contact us. 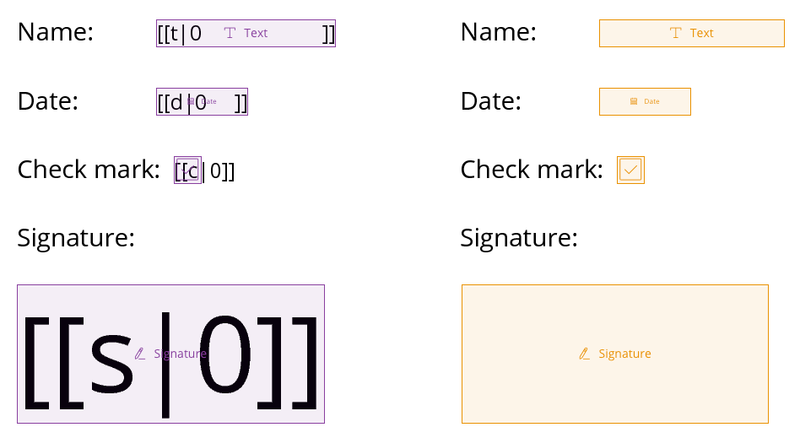 Tags are a way in which you can add data to a contract that are automatically recognized by SignRequest. You can quickly test this feature with our example document. 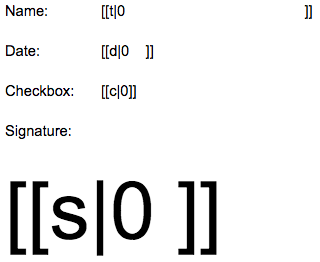 This is a shared Google Docs document with example tags. 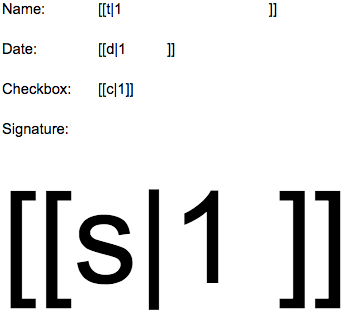 If you have our Google Docs add-on you can directly send a SignRequest!